Too much demineralization and not enough remineralization to repair the enamel layer, leads to tooth decay. Fluoride helps prevent tooth decay by making the tooth more resistant to acid attacks from plaque bacteria and sugars in the mouth and also reverses early decay. 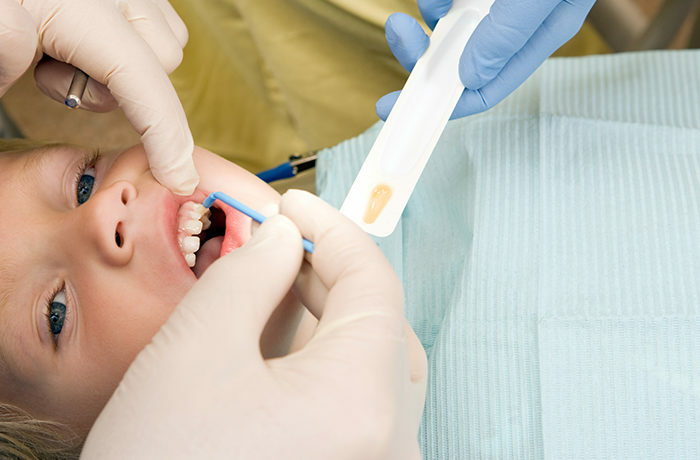 A professional fluoride treatment contains a much higher level of fluoride than the amount found in toothpastes and mouth rinses and is applied to the teeth as a gel, foam, or varnish.